PLEASE DONATE BY CLICKING ON PHOTO AT THE RIGHT! March 2019 – The website is official NOT IN USE but I am still trying to update links. July 2016: My every-other-year update!As you all know, I am not really updating this website very much, but I try to add new links and correct broken ones whenever I can. I added some new things to the Vikings page and Sam Low’s book on the front. If I ever get any time I may add a page of youtube videos and apps. As always, everyone is welcome to send ideas, suggestions, broken links, etc. Since 2014 I have been doing some very exciting things, most of which I cannot talk about! My LinkedIn page is here: https://www.linkedin.com/in/mary-gerardi-taylor-phd-2b6a9b83 SORRY – DELETED! April 2014: Since my last update I have become a Consulting Editor for Communio, the International Catholic Review; spoken at a World Youth Day ecology conference in Rio; spoken again at Oxford; and spoken at a United Nations Parallel Event during the meetings on the Commission on the Status of Women. I had some help in updating broken links and adding a few things on the website, but in general I do not do any work on it anymore. 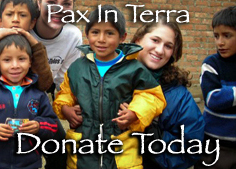 If you like this website and want to help, would you please consider making a donation to my 501c3 nonprofit, Pax in Terra? 100% of your donation will go toward programs, and I can send you a letter for a tax deduction (you only need a letter if you give more than $250, but you can have one for less if you ask!). Thank you very much! Hello everyone! I am partially back from my hiatus. My doctoral dissertation was successfully defended in Spain in March. Over the past couple of years I presented parts of it at Oxford, at Yale University’s “Human Rights and Environment Dialogues,” at World Youth Day in Madrid, at the international “What is Life?” conference in Krakow, and other places. My wonderful defense committee included a member of Spain’s National Academy of Science and a member of the Pontifical Council for the Laity. [My disssertation was on the philosophical, metaphysical, and theological underpinnings of an understanding of the environment/creation/nature, specifically on a “Third Trajectory” that goes beyond the First Trajectory of mechanical, extrinsic “scientism” of modernity (that is, a truncated form of real science, which in its atomism, dualism, and worship of utility is already rejected by both “deep ecology” holists and postmoderns); and at the same time, responding to many of the tensions the Second Trajectory face (especially the unique place of the human person, a response to the Heideggerian critique of metaphysics, the flight into ambiguity so ardently embraced by so many ecophilosophers, and much, much more) into a Third Trajectory that leaves nothing that is good in the other two behind, but which illuminates an understanding of the category of “relation” (as in: we are all related to one another and to nature) that includes integrity of persons and the beings of nature rather than their dissolution – again, and much, much more]. In the upcoming months I hope to FINALLY be adding new sites and maybe some new features. So keep sending broken links, new sites, etc. Hello All. This website is now officially on hiatus while I try to finish a doctoral dissertation on ecological philosophy/theology. At first I thought I would just take it down since I am not keeping it up, but honestly, not a day goes by that someone doesn’t email me and thank me for it, so I will keep it up as is. David Burch has sent me a copy of his new book, How to Use Plastic Sextants, which is awesome and packed with information. It would be useful for anyone learning about sextants, as it has sections on how to use them, read them, correct errors, and much much more. So buy one whether you have a plastic sextant or a metal one! Just because I am on hiatus doesn’t mean you can’t write to me about anything, including broken links! Be kind to each others! Don’t put any beans up your noses while I’m gone! Rodger Farley has a great website and free PDF book AND free software – Celestial Navigation in a Teacup. I urge you to check it out – it’s great. Very busy with a thousand other projects….hope to write soon. It is with great sorrow that I report that Captain Ted Spurling Sr., to whom this site is dedicated and without whom it would not have existed, died in 2004. It is he who gave me the poem in defense of lunars, “Wrinkles.” Captain Spurling was the kindest and most interesting man on the Maine island I call my second home, with many, many years of experience in celestial navigation. I spent hours with him in his home and many more sitting on the dock or by the museum, just talking. He will be greatly, greatly missed. Were understood by seamen, and esteemed a precious boon. To the virtues that I still possess? Explain the situation. “Don’t you know What happened here – it must be near a century ago? Tremble! a goddess has been born. We’ve christened her Chronometer. To her most eccentric conduct my best chapter’s been devoted? But the chapter headed Lunars is the one we hold most dear. With equal care we’ve read them both; compared our notes and reckoned. No mortal who believed the first could understand the second. Adieu! dear boy. I’m off. Good night. To Coventry? No! Never! David Burch of Starpath has now added still another amazing resource: 286 articles on Celestial Navigation from the Journal of the Institute of Navigation in Washington DC, covering 1946 to 2002. And all for only $25! Read about it here! The first thing we did as new editor, was to make an electronic archive of all back issues of the Foundation newsletter, since 1983. You can see this atwww.starpath.com/navigationfoundation. It is fully searchable and I was very impressed with the content in there… Now it is a simple matter of using the Elibra Reader’s search engine to find whatever you want. A tremendous resource for anyone interested in cel nav. We use our own Elibra ebook system, which is described at www.elibrabooks.com, and in the catalog of that section you will also see what we call the Mariner’s Antique Library, where we are slowly preserving old books on navigation. Hello everyone. I am writing this in late December 2008. If you are a regular user of this site, you know that nothing has changed in, like, forever. I have not been able to keep up the site except for minor corrections here and there (such as fixing broken links when they are brought to my attention). The reason is that in 2006 my mother was diagnosed with Alzheimer’s. She was a beautiful and brilliant woman who lived alone until she was 85, with just some memory loss and a few odd behaviors that I did not that think were that important. I was wrong. For that time period, I have done everything for her – dealing with lawyers, doctors, emergency rooms, Medicare, Social Security, pension, insurance companies, utility companies, finding her a short-term spot in a nursing home to get her stabilized on meds, finding her the world’s best assisted living facility and world’s best private aide, visiting her every day often for 2-3 hours, driving her to doctor appointments, buying things she needed, etc. You get the picture. 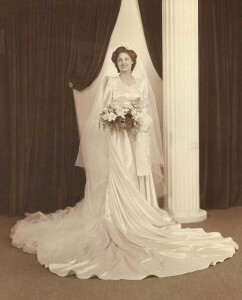 My mother died on her wedding anniversary, November 24th, after surgery to remove a blood clot – too little, too late. She was in Hospice care for three weeks and I sat by her bed, doing everything I could for her. However, the blood clot was God’s mercy, as her Alzheimer’s had not progressed to where she did not recognize me and her grandchildren, who were all able to come say good-bye while she was awake. In the months before she died, she was still able to laugh and to sing (she had a beautiful operatic voice – the Metropolitan Opera wanted to train her when she was 16 but her father said no). She had not yet become bedridden, unable to swallow, etc. so we were still able to have some fun. Our family are all believing Catholics. She had a very beautiful, very peaceful, very loving and holy last few weeks. Everyone was able to surround her bed, look into her eyes, and smile with love. She had Last Rites not once but twice; we had a beautiful Mass of Christian Burial with some of my favorite songs – “O God Beyond All Praising” (the melody is the Jupiter movement from Gustav Holst’s “Planets”) and “Ye Watchers and Ye Holy Ones.” We did not have “Ave Maria” sung only because no one could sing it as beautifully as she could. Masses were said all over the world for her, on almost every continent, as priest friends heard the news. Fifty percent of people over the age of 85 have Alzheimer’s. It is a disease, not a normal result of aging and NOT because a person didn’t exercise her body or mind! We are going to be hit by a tsunami of cases as the “Baby Boom” generation ages….might be a good cause to donate to. All original material copyright 2009-2019. If you are the copyright owner of a picture or quotation inadvertently used without attribution or permission, contact me. Please write with links and corrections as well. Website design by VN Productions.